MDPE service pipes and fittings are an innovative offering specifically engineered for the distribution of gas and water in pressurised systems, for sewerage applications and renewable energy pipeline. 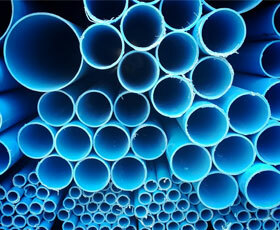 Polyethylene is lightweight, does not corrode and is the ideal material for the construction of all types of pipelines. These pipes can be fused together to form a fully welded one-piece end load bearing pipeline, considerably lowering the risk of leaks. At Civils and Lintels we work with Polypipe and Radius systems to bring you a range of service pipes in several sizes. Polypipe MDPE Service Pipe – A robust, easy to handle polyethylene pipe, suitable for potable and non potable applications. MDPE Water Service Pipe is available in two pressure variants and a choice of diameters to suit your project. The pipe is available in 8 and 12 bar pressure variants, blue or black colour, 20mm, 25mm, 32mm, 40mm, 50mm and 63mm diameters, and coils or straight lengths. 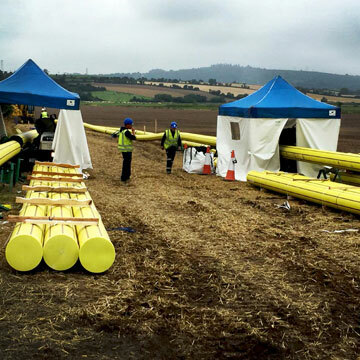 Radius Systems – Polyethylene pipes are available in diameters 20 to 1200 mm in PE80 or PE100, in a wide range of SDRs and pressure ratings to suit pipeline systems’ requirements. These pipes can be installed using open-cut or no-dig installation techniques. Electrofusion fittings, ranging from 20 to 710mm, include several types of fitting to allow pipeline connections and accommodate all pipeline scheme configurations. Couplers, 45° and 90° elbows, reducers, equal tees, unequal tees, end caps and tapping tees are available. Manufactured in ISO 9001:2015 accredited production facilities, these polyethylene pipes and fitting solutions are approved to the most stringent national and international standards, to deliver a comprehensive offering for all your pipeline network requirements. If you need help sourcing the right pipe for your next project, contact your local branch.